Thai Massage is believed to be founded over 2500 years ago by Jivaka Kumar Bhaccha, a physician to the Buddha. The Traditional Thai massage practiced today has roots in traditional medicine systems of India and strong influence from China, and Southeast Asia. Today even within Thailand there are many variations of Thai Massage practiced throughout the country. 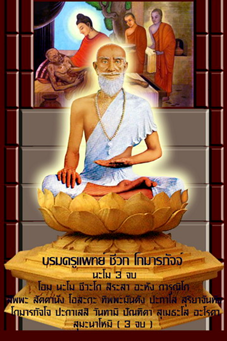 Many techniques applied in Thai Massage were derived directly from yoga. Practitioners are applying various techniques consisting slow but rhythmic compressions along energy lines, acupressure directed towards the trigger points, stretching and join opening movements similar to yoga techniques. Thai Massage has many followers around the world. Originally Thai Massage was used by monks in Thai Temples (Wat) as a part of traditional Thai medicine heavily influenced by Buddhist philosophy. The techniques were initially kept secret by monks but soon the benefits of Thai Massage Adelaide were realized and found many followers around the country of Siam. Thai Massage concentrates on body energy and mind rather than body itself. The body energy is stimulated by applying pressure to energy points along intricate body lines called “sen lines”. It is believed that there are tens of thousands body lines constituting network of “sen lines”. Thai Massage concentrates on four sublime states of mind as taught by Buddha. In practice Thai Massage practitioners do not use oil and work with fully clothed clients. The massage is delivered on the mattress on the floor or a large Thai style bed. This style of massage is more close to the yoga session than a massage session and often it is called “Lazy Yoga”, Passive Yoga or Assisted Yoga. There are many benefits of Thai massage. Some of the common poses in Thai Massage are shown below. Our Masseuses will tailor the session to suit client’s flexibility. There are many common techniques between Traditional Thai Massage and modern Western techniques used in Remedial Massage.